Hey guys! First off, sorry for being a bit MIA recently, but with starting university and moving to London I've been fairly busy. 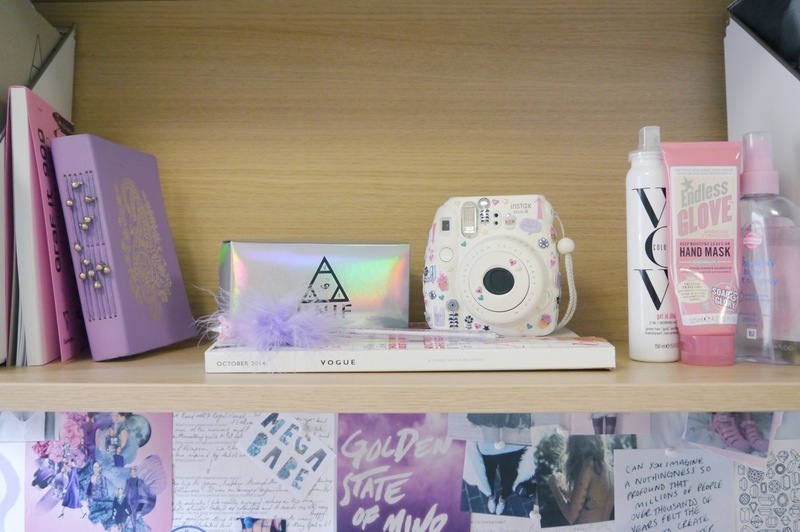 I've been desperate to get back to blogging though and now I'm settled in, I thought I would share some photos of my new room in my university halls! 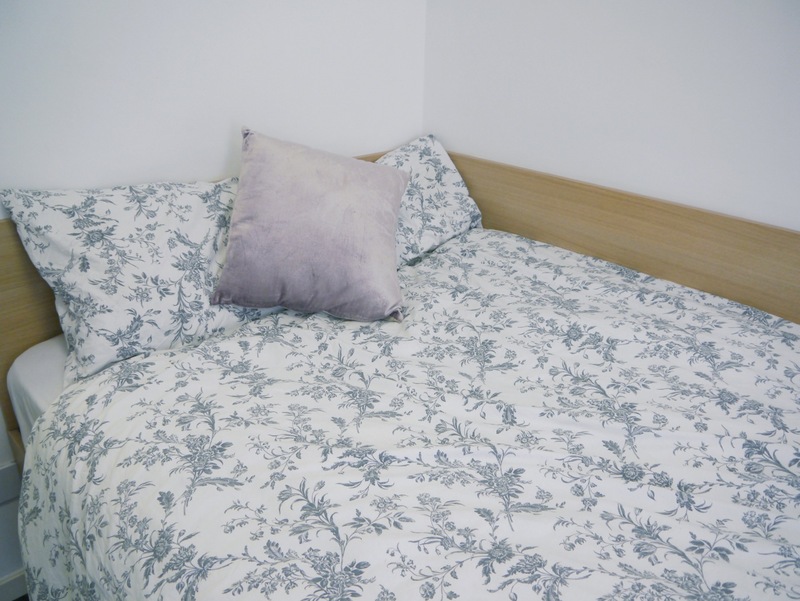 I live in a shared flat with three other people in East Central London - we each have our own rooms and I'm actually really impressed with how nice and modern everything is (plus the fact that my bed is way bigger than I expected!). It was really important to me that my room reflected my taste and that I was able to decorate and make it my own, and with everything so white and simple I was definitely able to do that. 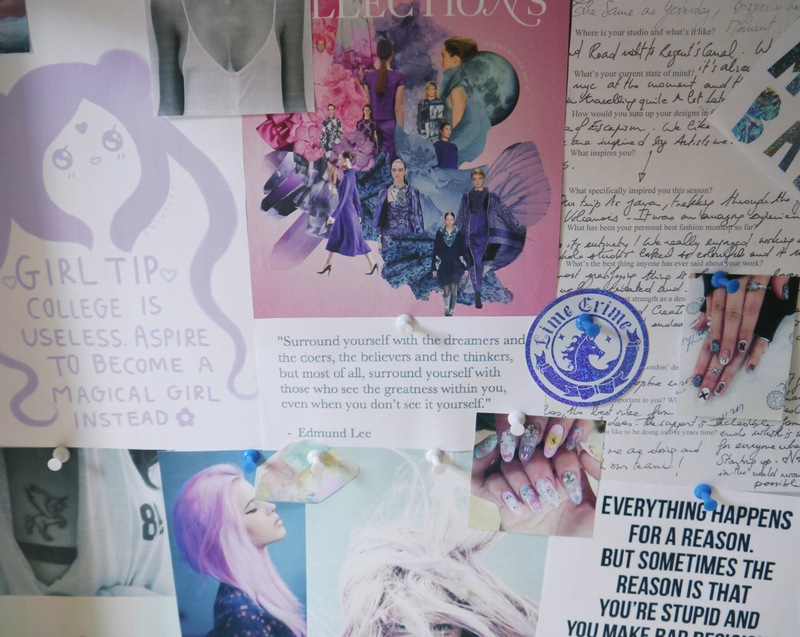 Behind my desk is a huge pinboard which I've covered in images and quotes from my tumblr - I'm so happy with how it's turned out and feel like it really injects some of my personality into the room. The rest of my bedroom follows the same kind of colour scheme, grey and white with splatters of pastel shades - I tried to bring as many pretty decorative items and jewellery containers as I could when I moved in, just to make it feel a bit more homely. As far as university life is going so far, I'm currently on my induction week and I'm so so happy with how things are going! I'm in love with this life: I've started some journalistic tasks which had me exploring the area and stumbling across the cutest vintage stores, I've met some fascinating people from across the world and I get to wander around central London everyday…what could be better? It's so lovely ! I'm moving to London in my first uni room ever, I hope it will be as cosy as yours ! Looks super cosy! Good luck with uni, I studded journalism and bloody loved it :) enjoy! 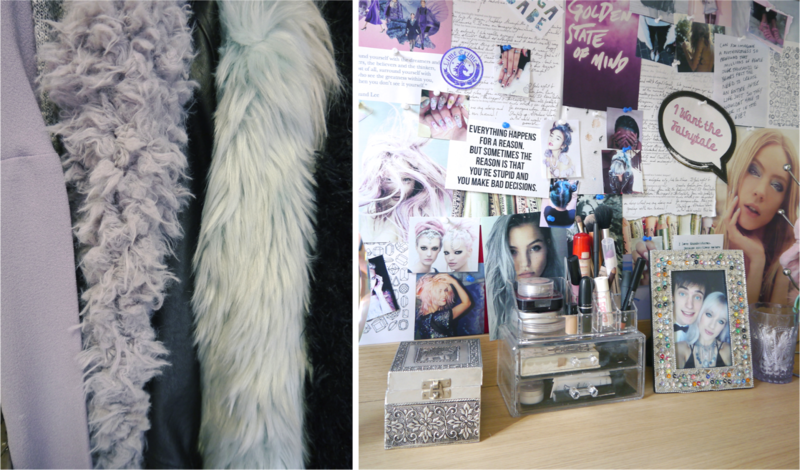 Your room looks super cosy. Good luck with uni! hope you have an amazing time.